The heat and intensity of fire create an incredibly harsh environment. If your job is to help fight fires, or you inspect recently burned buildings, you need to have ample protection on your feet to reduce the risk of burns, or other damage. Our leather fire boots are available in various styles to accommodate even the most difficult of environments. We offer those with features that can make even the most intense fire easier to tame. 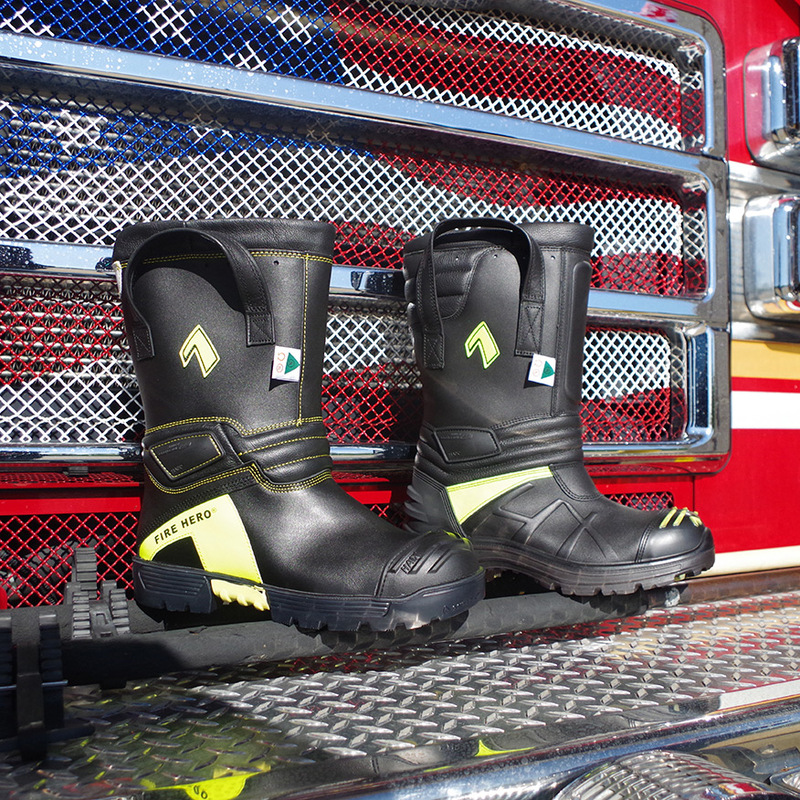 There are many types of leather fire boots available including HAZMAT, USAR, Wildland, and Structural. Each offers a slightly different design to combat the environment you are in. It is always a good idea to choose boots that are NFPA certified, not just compliant. This ensures the boots went through intense testing to ensure they are safe. You will also want to consider those with built-in features. This may include an ankle flex system to help with twisting and bending and a safety toe for fall risks. The use of a climate system can help to keep your feet dry and comfortable throughout the event. And, you may wish to choose a system that has an athletic feel to them. This can help you to stay on your feet longer. There are plenty of options to choose from which ensures you always get a product that fits your needs. Are you ready to find the right boots for you? If so, HAIX® has exactly what you need. We provide a wide-range of leather fire boots to address every one of your concerns. Contact us now to learn more or chat with us online. You can even order right now and start protecting your feet.